Sign up for GoLiveTV now and refresh your TV viewing experience with GoLiveTV! 1. 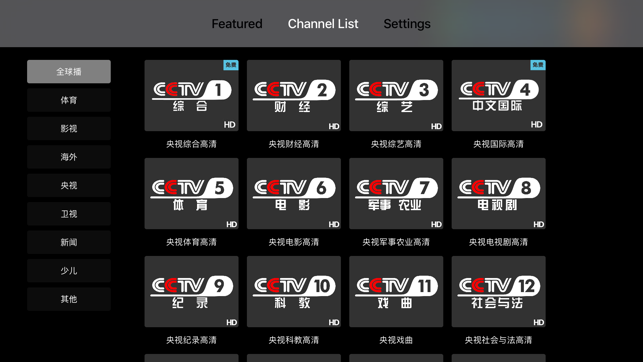 130+ Live Chinese TV channels, the most channels anywhere: CCTV, satellite TV, local channels, and International news. 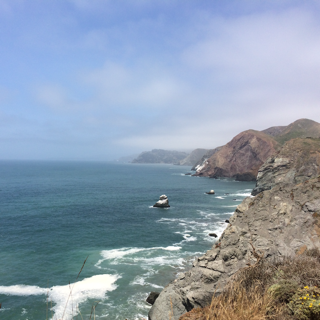 Enjoy breaking news, sporting events, the latest dramas, variety shows, movies and documentaries. 2. 7-day playback feature: Worry about missing your favorite shows? 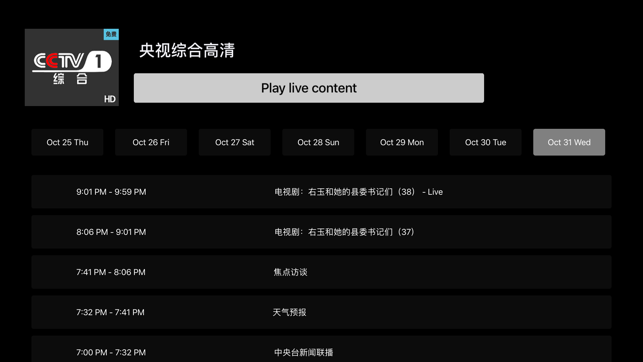 GoLiveTV’s 7-day playback feature can replay live content within 7 days, so you won't miss anything! 3. 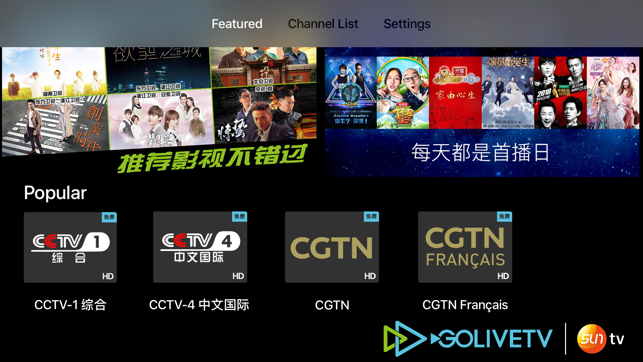 Support for cross-platform devices: Log-in on different smart TV devices (see details on the official website gole.tv). © Sun Global Media USA, Ltd.